From the very beginning, we understood that technology was creating very real problems for law enforcement and enterprise investigative teams. Technology has brought with it new avenues for criminal behavior, an increase in information that must be examined, and more devices associated with almost every crime. The result is case backlogs, increased demand on digital forensics labs, teams, and examiners, increased public pressure, heightened awareness of privacy and security issues. Our priority is to keep innovating to make our job easier. Magnet Forensics products are designed to leverage the latest technological innovations to help law enforcement, consultants, military, and private enterprise address these issues. We use AI, automation, advanced searching techniques, modern data visualization and more to help investigative teams find digital evidence and understand the story it is telling. Magnet Forensics solutions have been used in cases ranging from Child Exploitation, Counter Terrorism (the Boston Marathon Bombing), Violent Crimes, Employee Investigations, Incident Response, and more. Devices in investigations are piling up. Use automation to queue multiple devices and device types for image acquisition. Increased data volume makes analysis cumbersome and time-consuming. Layer filters and use multiple views to surface the most relevant results. Artifacts hold the most relevant digital evidence. Find more artifact data from more sources. Share results that are easily understood by teams at any level of technical ability. You need to efficiently recover the most data. The most relevant evidence is in the artifacts related to a user’s internet activity and communications. 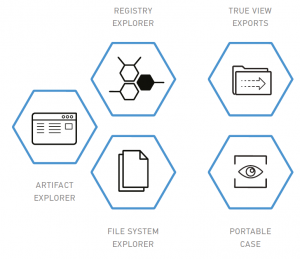 Use AXIOM to get the deepest artifact data and verify with integrated file system access. You need to surface data quickly and make thorough, reliable, and fast decisions. Magnet.AI, an industry-first machine learning technology in AXIOM, searches content and suggests conversations that indicate potential child luring, quickly and credibly narrowing results. 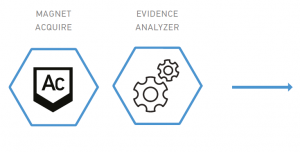 You need to review digital evidence in multiple tools. AXIOM’s flexibility and platform-agnostic approach enables you to ingest nearly any computer, smartphone, or cloud image.